TESCO Superstore occupies a convenient place in Abbey Retail Park on Church Road, a 4.23 mile drive north from the centre of Belfast, in Newtownabbey (nearby 3G Pitch and Valley Park). This supermarket is a beneficial addition to the districts of Merville Garden Village, Rushpark, Newtownabbey, Rathcoole, Whiteabbey, Whitehouse, Whitewell and Greencastle. Today (Monday), its operating times are 6:00 am to midnight. 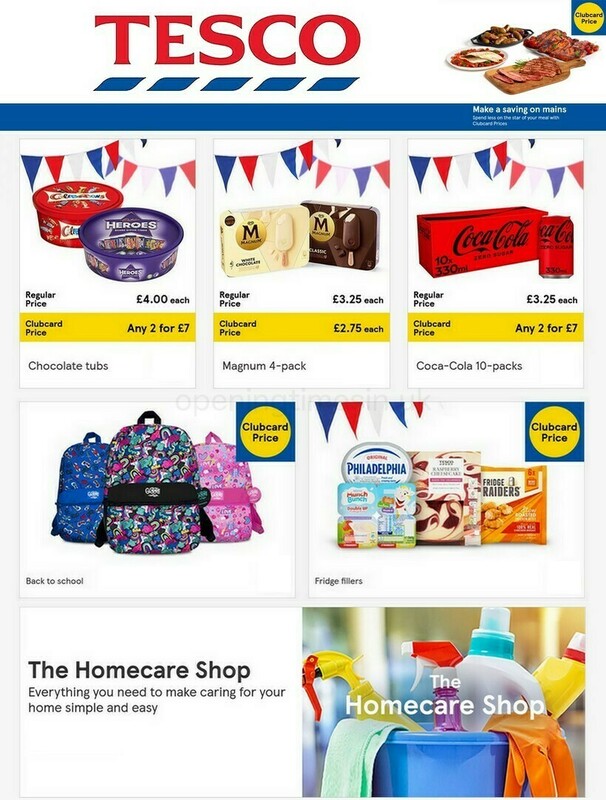 Please review this page for the specifics on TESCO Abbey Retail Park, Belfast, including the hours of opening, address description, direct number and further information. TESCO Superstore occupies a place immediately near the crossroads of Glenmount Road and Church Road, in Newtownabbey, Belfast, at Abbey Retail Park. This supermarket is currently located a 1 minute drive time from Longlands Road, Glenmount Drive, Longlands Avenue and Glenmount Manor; a 5 minute drive from Shore Road, Antrim Road and Junction 2 of M2; or a 8 minute drive time from Doagh Road and O'neill Road. For Sat Nav please enter the following postcode to get to this location: BT36 7GU. On foot you can come across Finlay Park, Northgate Commercial, Valley Leisure Centre, Belfast Zoo, Northern Ireland Children's Hospice, V36 Park, Longwood Retail Park, Throne Park and Abbey Centre. TESCO runs 17 locations within the Belfast, County Antrim area. Click here for a full index of all TESCO stores near Belfast. Please note: during UK national holidays the open hours for TESCO in Abbey Retail Park, Belfast may shift from common times listed above. These updates apply to Xmas Day, New Year's, Easter Sunday or Black Friday. To get precise details about seasonal hours of business for TESCO Abbey Retail Park, Belfast, go to the official website or phone the direct information line at 0800 50 5555. While shopping at TESCO, please take a look at the additional exceptional stores in Abbey Retail Park. This spot also contains other retailers, such as: LIDL, Currys, TESCO, Carphone Warehouse and other choices. We are working to supply you with the most accurate information as possible. Please don’t hesitate to use this form to report any mistakes with the place of business address or hours of operation for TESCO in Abbey Retail Park, Belfast. In the space below, you may voice your critique of TESCO, or use the star ranking system.